As we age, we lose volume in the face. The volume lost in the face is a combination of fat and bone. Juvéderm is made up of a naturally occurring substance in the human body that is injected into the face to restore volume. Adding volume to the face can be a simple, easy, and quick method to improve facial balance and symmetry. How Can Juvéderm Injections Improve my Facial Harmony? As previously stated, the face loses fat and bone over the years. This loss of volume causes the face to deflate similarly to a balloon that constantly loses a small amount of air. As the balloon deflates, it begins to form creases and shadows. The face undergoes a similar process and with the addition of Juvéderm, the face can be filled, lifted, and wrinkles smoothed. At my practice in Charlotte, Juvéderm helps patients to look and feel younger. What is Juvéderm Made Of? Juvéderm is composed of hyaluronic acid. Hyaluronic acid is part of the extracellular matrix in the body. The extracellular matrix is responsible for supporting the cells of the body. Juvéderm is composed of a naturally occurring substance in the human body. Where Can Juvéderm be Injected? Juvéderm in Charlotte can be safely injected into many areas of the face with a properly trained and expert injector. There are areas that are more sensitive to injections than others due to the thinness of the skin. In these areas, the doctor has to take extra steps to ensure a great outcome. What are the Common Areas Juvéderm Can be Injected? Can Juvéderm Improve the Bags Underneath My Eyes? I commonly inject Juvéderm in Charlotte underneath the eyes of my patients to smoothen the bags. The Juvéderm blends with the groove that creates the eye-bag. While this does not eliminate the eye bag, it can be successful at camouflaging the bag. One reason why Juvéderm is a great product, is that it can be easily reversed. There is an enzyme, hyaluronidase, which instantaneously dissolves Juvéderm. 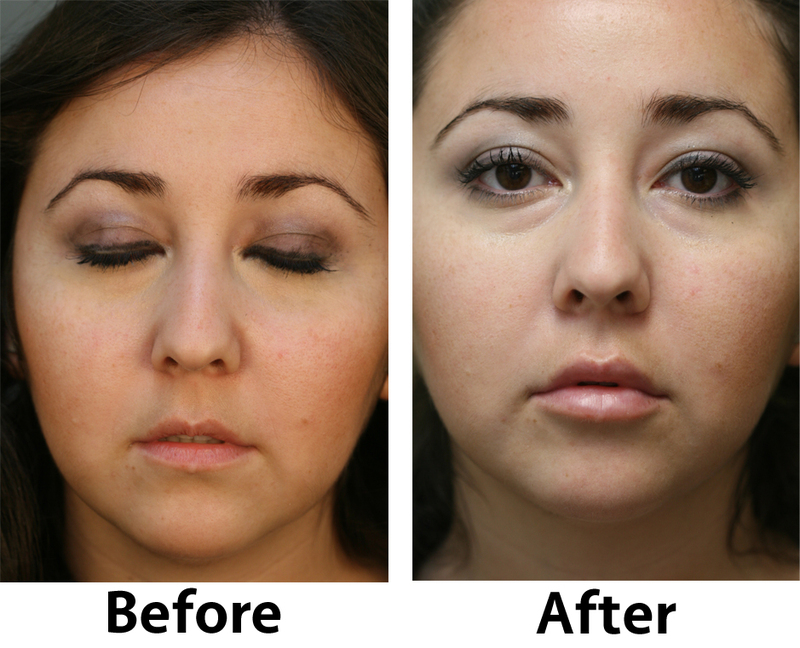 For my patient in Charlotte, Juvéderm can be easily removed by a simple injection of hyaluronidase. There is not a straightforward answer. After Juvéderm is injected, it is slowly absorbed. I believe the better question to ask is how often does a patient need to repeat the injection to have the desired results. 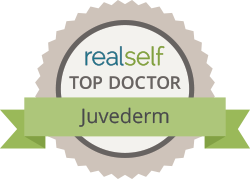 Most patients like to have the area re-injected after 60% of the Juvéderm has been absorbed. Depending on the area of the face, this will be every 6-12 months. Areas of the face that move more frequently (the mouth), will dissolve the Juvéderm faster than non-mobile areas (temples). The best way to find out how long your North Carolina Juvéderm treatment will last is to schedule a consult with Carolina Facial Plastics. Since most people get injected before all of the Juvéderm as been absorbed, patients typically require Juvéderm on their follow-up treatments. How Much Does Juvéderm Cost in Charlotte? The price of Juvéderm in Charlotte can vary. Juvéderm is typically priced per syringe, and each syringe contains 1ml of product. If you are having a specialty trained facial plastic surgeon perform the injections, it may be slightly more than an injector of less education. Also, the price can vary between the first and subsequent syringe. Often times, the second syringe may be less than the initial syringe. How Many Syringes Do Most Patients Require on Their First Treatment? This depends on many variables including the location, age of patient, and the amount of volume loss. It can range from 1 syringe to over 20 syringes. What is Unique Regarding the Technique to Inject Juvéderm in Charlotte at Carolina Facial Plastics? Fillers have been historically injected with a needle. I believe a needle is painful, traumatic, and can cause bruising. At Carolina Facial Plastics, I use a blunt tipped microcannula to inject facial fillers. Since the microcannula is blunt at the end, it causes less trauma resulting in a more comfortable experience and less risk of a bruise. Can I Be Allergic to Juvéderm? Since Juvéderm is composed of a naturally occurring substance in the body, it has an extremely low incidence of a patient becoming allergic to the product. I have personally never seen a patient that was allergic to Juvéderm at my Charlotte practice. How Much Fillers Does Dr. Kulbersh Inject at Carolina Facial Plastics? We commonly have a consultation and perform the injection on the same day. When scheduling your appointment, I would advise patients to tell the receptionist that they are interested in having the injection the same day. The receptionist can scheduled time to allow Dr. Kulbersh to perform the injections. Why Should I Choose Carolina Facial Plastics To Have My Juvéderm Injections? >When considering the medical profession to trust to inject a substance in your face, I would choose an expert. Dr. Kulbersh is a Beverly Hills fellowship trained facial plastic surgeon and he worked with best Juvéderm injectors in Beverly Hills. Dr. Kulbersh performs facial fillers on a daily basis and used the most advanced techniques that limit downtime and risks. How Can I Get My Juvéderm Injected By Dr. Kulbersh? You can call (704) 842-3644 or email [email protected] to schedule a consultation. During this time, we’ll be able to develop a completely customized treatment plan unique to your specific needs. Next, read about Juvéderm Voluma.